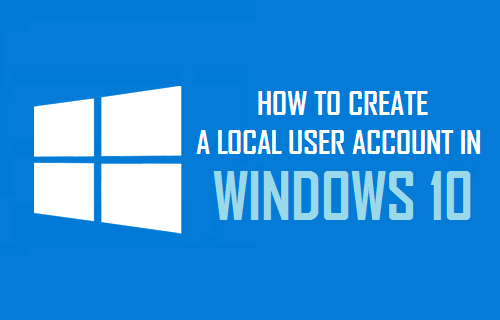 Here is how you can create a new local user account in Windows 10. 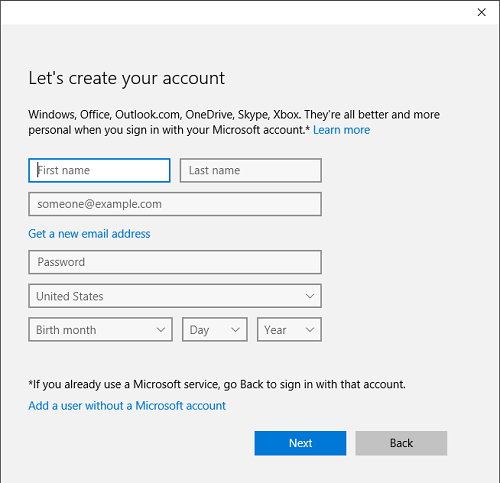 A local user account has limited privileges and is not linked to your Microsoft account, making it suitable for kids who may not even have an email ID. When you have kids at home using a common family computer, it is a good idea to create a separate user account for them. As you can imagine, it is better for this account to be a local user account with limited privileges. Another reason for creating a local user account with limited access would be to prevent the possibility of unsafe content from being accidentally or unknowingly downloaded to your computer. Since local users accounts do not have admin privileges, anyone using your computer through a local account will be unable to change the computer settings or download anything to your computer without an admin password (which is only known to you). 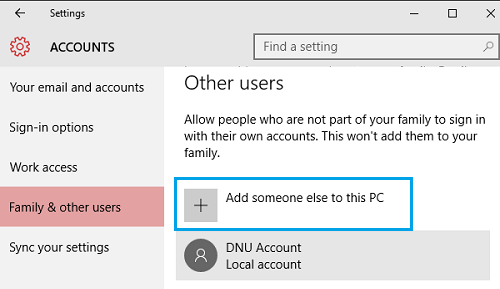 Follow the steps below to create a new local user account in Windows 10. 1. Click on the Windows 10 Start button and select Settings (See image below). 2. On the settings screen, click on Accounts. 3. Select Family & other users (See image below in step 4). 4. Select Add someone else to this PC (See image below). 5. On the next screen, you need to Ignore the prompt to provide an email or phone number. Instead, click on the link at the bottom that says “I don’t have this person’s sign-in information” (See image below). 6. 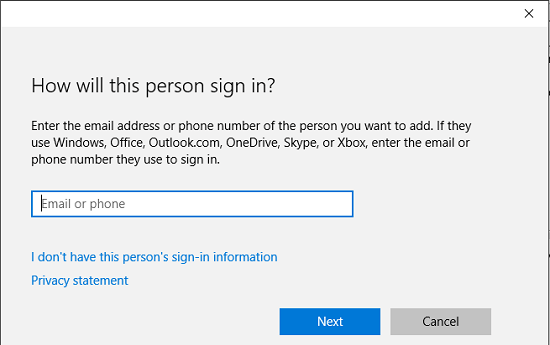 As you can see in the image below, Windows 10 will now prompt you to enter the details of your existing email account or set up a new email address. Ignore all this and instead click on the link at the bottom that says Add a user without a Microsoft account (See image below). 7. 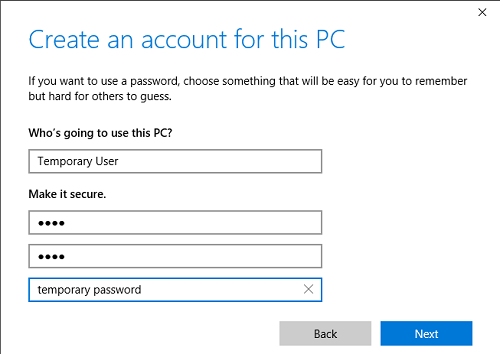 Next, you will get to see the familiar Windows account creation screen. Enter the User name, Password and the Password hint for your new local user account and click Next. 8. 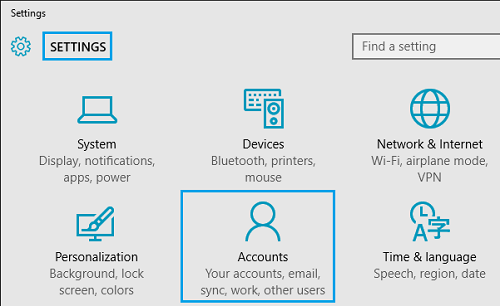 When you click Next, Windows will take you back to the Accounts screen where you will see the new local user account that you just created. You have now successfully created a local user account on your Windows 10 computer. By default this local user account has limited rights and users on this account won’t be able to install applications or make any changes. Note: You need to be logged in as an administrator in order to create a new user account using above steps.